The Lindsay family has come west hoping to help the father, John, recover from an illness. When they arrive, they are induced to purchase Spanish Peaks Ranch, an abandoned United States military post surrounded by mountains. It seems like a perfect place to settle into their new life as ranchers. As they soon find out, though, this deserted fort is equally suited for both protection and imprisonment. In fact, they’ve been swindled into buying the longtime headquarters and hideout for a band of thieves and rustlers. Almost as soon as they get to work, the Lindsay family's peace is disturbed, and their protected new homestead quickly becomes an isolated outpost as rustlers begin to harass their herds. John Lindsay discovers there are spies among his faithful cowboys. Things continue to get worse until finally their brewing hostilities climax in a nighttime attack, leading to all-out war and the abduction of one of the Lindsay girls and elopement of another. John must fight against treason on the inside and enemies on the outside to keep his family and new life safe. First published in 1938, the greatest writer of the American West, Zane Grey, brings a classic tale of drama on the frontier. 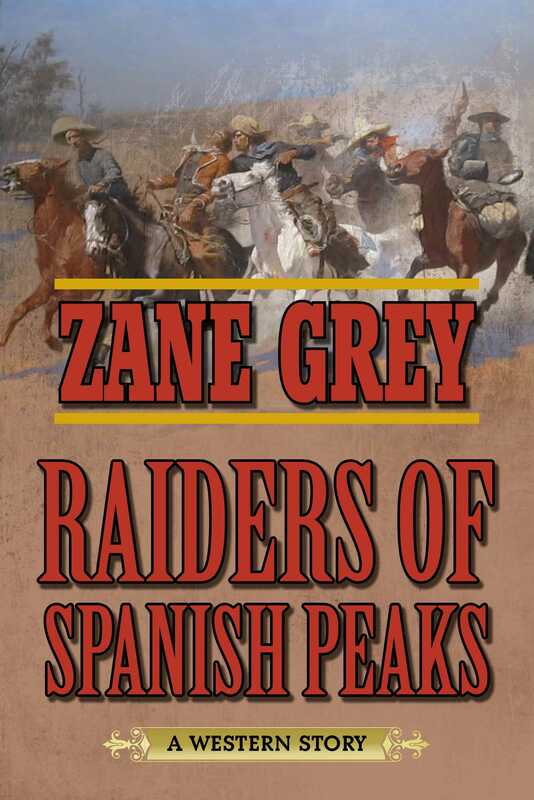 Raiders of Spanish Peaks is a thrilling tale of a how a man’s home is truly his castle.